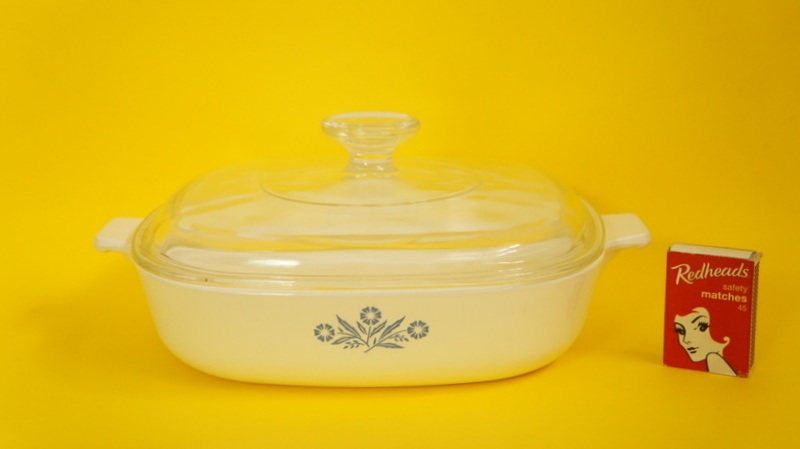 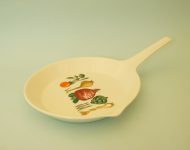 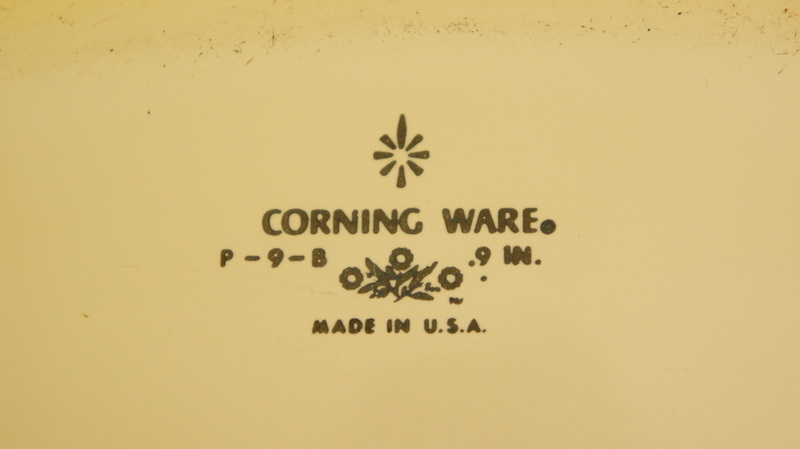 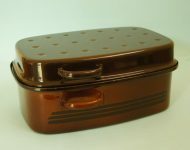 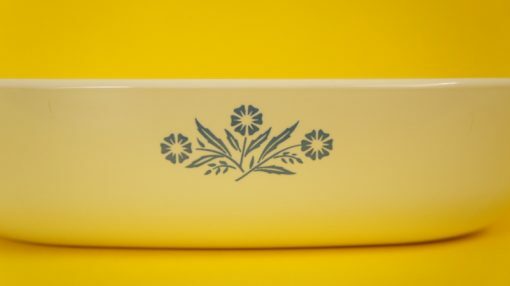 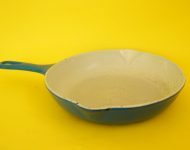 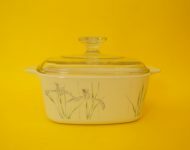 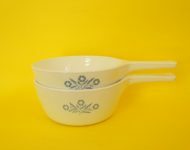 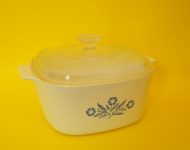 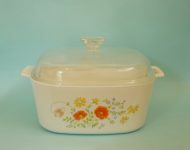 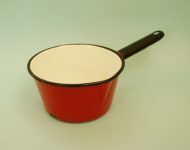 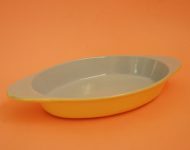 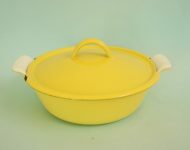 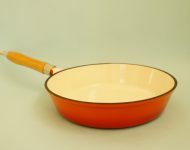 If you’re building up a collection of Corning Ware then this is a nice piece to add to the dishes that you already have – this shallow dish isn’t quite as common as the deeper Corning Ware dishes, and if you spend a bit of time in the kitchen I think it makes sense to have cookware in all shapes and sizes. 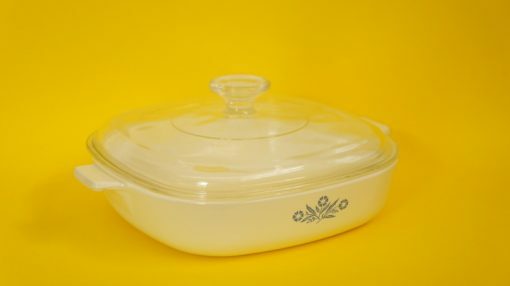 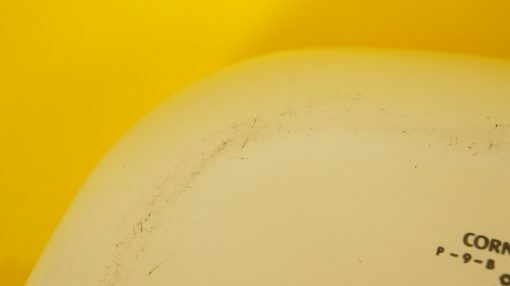 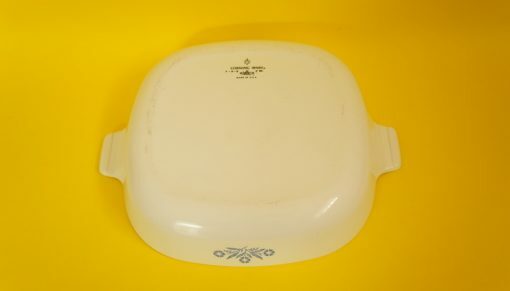 The inside of this square casserole dish is pretty clean, and generally speaking it’s in good condition, but there are some scratches to the underneath of the dish, not that anyone’s going to see that! 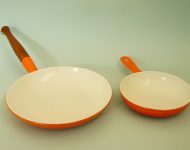 A great quality piece of cookware that will last you for years to come.